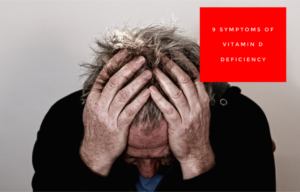 In this article I want to portrait 9 signs of Vitamin D deficiency Vitamin D deficiency symptoms explained: the top 9 warning signs (naturalnews.com) Some people who have a vitamin D deficiency have no immediate symptoms. Those who do have symptoms may experience restless sleep, muscle cramps, general fatigue, joint pain, muscle pain or weakness, inability to concentrate, headaches, constipation or diarrhea, and bladder problems. Here are nine other serious medical conditions that have been linked to a vitamin D deficiency. Asthma - Vitamin D supplementation of 1,200 IU daily has been shown to lessen asthma attacks and reduce their severity.